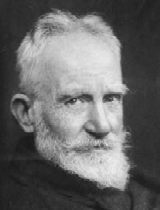 Biography of George Bernard Shaw, Irish playwright, author of "Pygmalion" and "Saint Joan"
Music and drama critic, famous Irish playwright. Born in Dublin in a protestant family, George Bernard Shaw got a wide literary and musical culture. In the age of twenty, he joined in London his mother who was separated from his alcoholic father. He was interested in the political economy and in socialism. The reading of Karl Marx was for him a true revelation. Beside his activity of political militant, he became an art and music critic, then a drama critic, and wrote many essays. After having tried in vain to publish five novels, George Bernard Shaw took an interest since 1892 in theatre for which he wrote more than fifty plays. He used a style where his humorous liveliness, which was better shown to advantage, did with him an uncontested master of the English theatre. In his first plays, very committed but not very often played, George Bernard Shaw criticized the social abuses.  The year 1894, with plays produced in the United States, was the beginning of his international notoriety. Struck down by a disease and by overwork, George Bernard Shaw reduced his political activity from 1898. His successes and his marriage, the same year, put an end to his bohemian life. From that time, without ever ceasing being interested in policy and in the social questions, he devoted himself entirely to his works, drama of ideas, where he held the social conformism up to ridicule. His talent and his fame were rewarded with the Nobel Prize of Literature in 1925. Remained always very active throughout all his life, George Bernard Shaw died as the result of a fall when he was 94 years old. The comic nature of the George Bernard Shaw's plays went hand in hand with the logical rigour of the ideas he develops. His forewords, sometimes bulky, were real essays in which he expounded his favourite topics (art, pacifism, political ideas, philosophical and religious approaches) and proposed solutions to cure the evils he denounced in his plays. His works were the one of a revolutionary and a reformer who aimed to destroy capitalism and to replace it by an enlightened and higher socialism. "Pygmalion" (1912) and "Saint Joan" (1923), works of his maturity, are often regarded as his masterpieces. Agitator, nonconformist and freethinker, George Bernard Shaw denounced the narrow puritanism, the religious hierarchy and the hypocrisy of the conventions in religion ("The Devil's Disciple", 1896 and "The Shewing-Up Of Blanco Posnet", 1909). In "Androcles and the Lion" (1912), he studied the religious and spiritual motivations of man. Taking as a starting point the lesson of Darwin, he based his philosophy on Evolution, still mysterious strength, the "life force", imperfect power which tries to reach perfection (foreword of "Back to Methuselah", 1920). He was resolutely opposed to the personification of any divinity. Bibliography: Widowers' Houses (1892), The Philanderer (1893), Candida (1894), The Man of Destiny (1897), The Devil's Disciple (1896), Caesar and Cleopatra (1898), Arms and the Man (1898), Man and superman (1902), Major Barbara (1905), The Shewing-Up Of Blanco Posnet (1909), Androcles and the Lion (1912), Pygmalion (1912), Heartbreak House (1919), Back to Methuselah (1920), Saint Joan (1923), The Apple Cart (1929).